Saltfleet Haven, once called 'Saltflue't, 'Saltcoteholm', and until 1356 'Saltfleetby', has been a port as long as man has occupied the fens of Lincolnshire and it has seen much trade. Salt was worked near the Haven back in the Iron Age but the original haven may have started near Rimac prior to the 12th century. Salt and the local salt beds, as the name suggests, has been important to Saltfleet for hundreds if not thousands of years. The ancient ridgeway which follows county boundaries between Appleby and Austrey is perhaps one of the oldest trade routes in the Midlands. In eighteenth-century enclosure maps it is marked as ‘Salt Street’, which lends support to the suggestion that it originated as a prehistoric saltway giving access to the Cheshire salt pans. Another ancient ridgeway, the highway from Tamworth to Ashby de la Zouch, passes through the top half of Appleby parish to intersect Salt Street. It is considered that this is part of the ‘Upper Saltway’ which according to archaeologists "connected the trading port of Saltfleet to the Droitwich salt pans". It is known that salt was also "shipped" out of the port to the rest of the country. Mentioned in the Doomsday Book as a port, it expanded and by 1268 during the reign of King Henry III the Haven changed ownership a number of times, usually by theft or confusion over boundaries. Saltfleet was claimed by the Crown as a Royal Port in 1281 and was at its busiest during the fifteenth century. 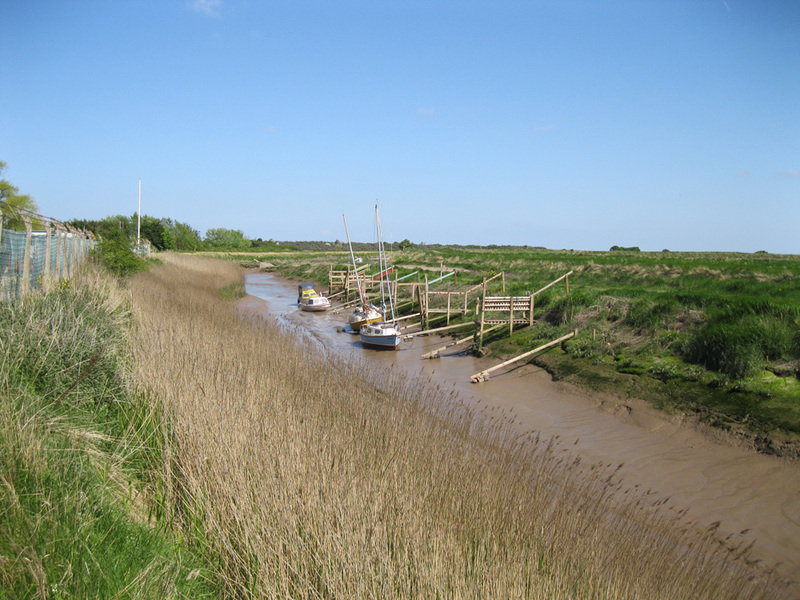 The Haven altered course when the River Eau was diverted in 1347 to assist cleansing the salt workings and it is known that smugglers were very active at Saltfleet. The old green road leading up to the church of St.Clements got the name "Brandy Road". In 1301 Saltfleet Haven and Wainfleet were required to provide ships to attack the Scots and in 1359 Saltfleet was ordered by King Edward III to provide two ships and 49 men for the invasion of Brittany. The dissolution of the monasteries caused Saltfleet problems as most traders were wealthy church men and the persecution of the Catholics caused great harm to the trade of the port. During the seventeenth and eighteenth centuries trade expanded once more with the need for timber and other goods from abroad to cope with the increased need for housing. The roads being so poor at the time sea transport was considered much quicker and Baltic timber was transported by sea from Boston to Saltfleet by a large fleet of sloops. A great deal of British goods including coal came down the Humber from the Midlands and then the coast to arrive at Saltfleet. This renaissance period brought goods such as corn, beans, wool, fish, coal, wine, fertilizer and many other items with a certain amount of export cargo being handled there including farm produce, livestock and even 'Elixirs'. A sizeable fleet of ships was based there including vessels with such local names as "Prussian Queen" the "Rimac" with others such as the "Try" and the "Lutha". In the 19th century Saltfleet became a 'member of the port of Boston' and brought timber up from that port. Saltfleet never seemed to have a fishing fleet of any size. Eventually time passed by Saltfleet Haven and the port fell into decline and being quick to silt up would require much work to keep it in a usable state. When the Louth Navigation Canal was built the trade at the Haven almost ceased but it continued to be used by local fishermen and a few pleasure boaters. Even today boats can be seen coming and going with the emergence of the Saltfleet Haven Boat Club and there are even a couple of fishing boats based at the haven.